Pumpkin Pie Smoothie - Your process has a purpose. This low-cal smoothie is an excellent way to use your leftover pumpkin spices for! Pumpkin contains vitamins A for bone and reproduction health, C for immunity, and E for healthy skin & eyes. It’s great as a quick breakfast option or mid-day snack, and it tastes like a dessert! 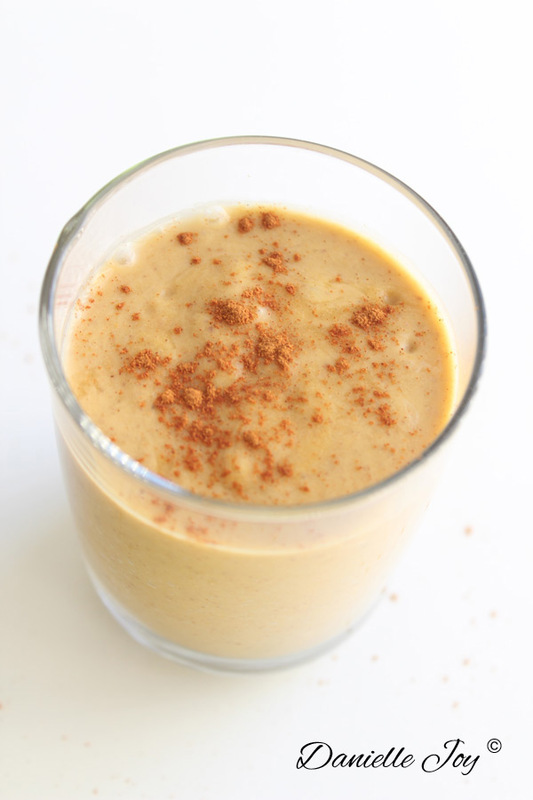 Top smoothie with pumpkin spice or cinnamon.